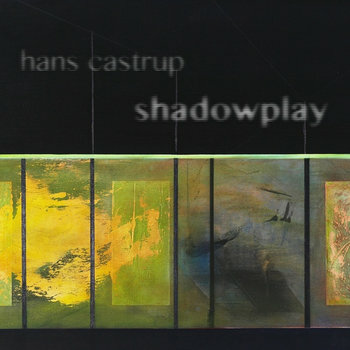 On “Shadowplay” HANS CASTRUP – painter, photographer, video artist and musician – condenses analogue and digital sounds to 12 border-crossing tracks at the gateway between abstract electronics, ambient, avant-garde and sound art. Born 1957, HANS CASTRUP studied arts at the university of Osnabrück (magister artium) and ever since has been a freelance artist on the fields of painting, photography, video, graphics, music and text. Besides exhibitions in Germany and abroad the honorary member of St. Petersburg’s artists’ association “Phönix” engages regularly in audioplay and media art and won a.o. the first prize of public radio station BR2 for his piece “Living knowledge – Control?” (“Lebendiges Wissen – Kontrolle?”) in 2011. On “Shadowplay” CASTRUP utilizes his working method of multiple layers which he developed in his paintings for his sound design: different analogue or digital sound sources such as synthesizers, effects, computer, field recordings or tape machines are being edited, manipulated and re-organized as abstract-reduced compositions meandering between melodiousness and experimental collages whose reference system ranges from new music and avantgarde to today’s electronics and the likes of BRIAN ENO or CAN. CASTRUP manages to escape the over-applied term “soundtrack for imaginary movies” in a very elegant way – the multi-faceted artist shot an exclusive video clip for each of the album’s twelve tracks which in combination with the music function as a fruitful stimulans for your own thinking.